Create this wonderful companion to assist you as you sit and stitch your projects. You'll have all you need at hand in an easy-to-manage, organized way. 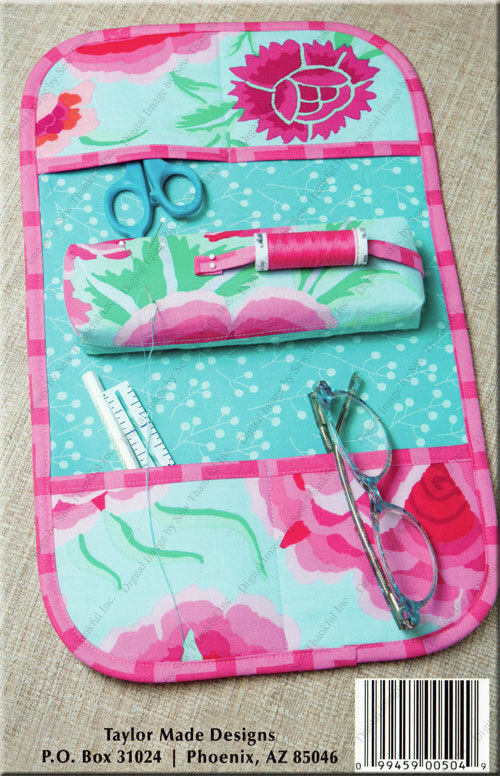 Project pattern includes step by step instructions. 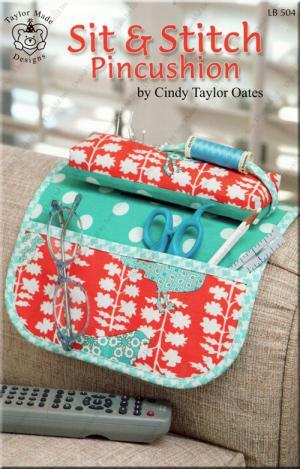 ALSO a fabulous gift making/giving idea for all your sewing/quilty/crafty friends. click images above for a closer look. Pattern very easy to read and understand. my friends. I did make a change in that I cut single thickness binding on the bias and used it instead of making bias tape and it worked very well.